Tips on Preparing For Disney World | A Savings WOW! Each week, we’re going to be discussing a different topic regarding Disney as part of our Travel Tuesday series. This week is about “Counting down to Disney” and how you can prepare your family for your upcoming trip to Disney. Almost exactly two years ago at this time, we were packing and getting ready to leave for Disney World after having been invited to the first-ever Disney Social Media Moms Celebration. Needless to say, we were very excited! Since it was our first trip to Disney World with our kids (and both of us hadn’t been there since we were very young and didn’t remember much about it), we didn’t know what to expect. It was also our first major blogging conference, so it was going to be a double-whammy for surprises. For our first trip in 2010, we didn’t have much time to prepare or really think about what to do for our trip. In between the normal daily activities we had going on, we also had a sick family member that we were helping take care of, so this trip was going to be a learning experience for us in terms of our blogging careers, and also it was going to be a good break for us from the daily routine. 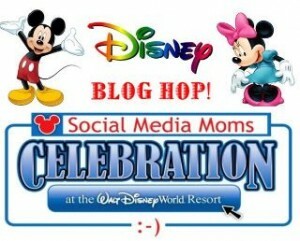 We were invited to attend the Disney Social Media Moms Celebration again last year and were so excited (again)! We had more time to plan this trip and decided to extend our trip a few more days to really get the experience of Disney World. In 2010, we stayed only one additional day and thought that we could see a lot more of the theme parks. Boy, were we wrong – we barely made it through 1/2 of the Magic Kingdom. – First of all, we checked our schedules (school and work) to determine which dates worked best for extending our trip. – Next, we started researching places to stay and places to visit. We already determined that we were going to drive down to Florida, so that gave us some flexibility to be able to visit some of the surrounding attractions. – Leading up to the trip, we talked to our kids to find out what rides and which of the Disney World Theme Parks they wanted to visit. – We also watched “Disney Parks: The Secrets, Stories and Magic Behind the Scenes” over and over again to get more excited about the trip. It also talked about some attractions and tips that we did not know about before. – We talked to the kids about their favorite memories from the first Disney Social Media Moms Celebration. By sharing these memories and looking forward to the new ones we’d be making, it really helped to build and continue the excitement for our family. One of the things that we truly loved about being at Disney World for the first time was watching our kids’ reactions as they met the various characters, especially Mickey and Minnie. We made it a point to get autograph books for them the minute we went into the park and to this day, they still flip through their books. We’ll be sharing our Disney memories and tips with you every Tuesday, along with the other Disney Social Media Moms below, so please stop by and visit their sites also! We’d love to hear your favorite Disney stories or tips – feel free to leave a comment or a link to your posts! Getting autographs was one of my favorite things to do with my kids, too! Somehow waiting in line for 40 minutes to see a princess was completely worth it in the end 🙂 Thanks for linking up!